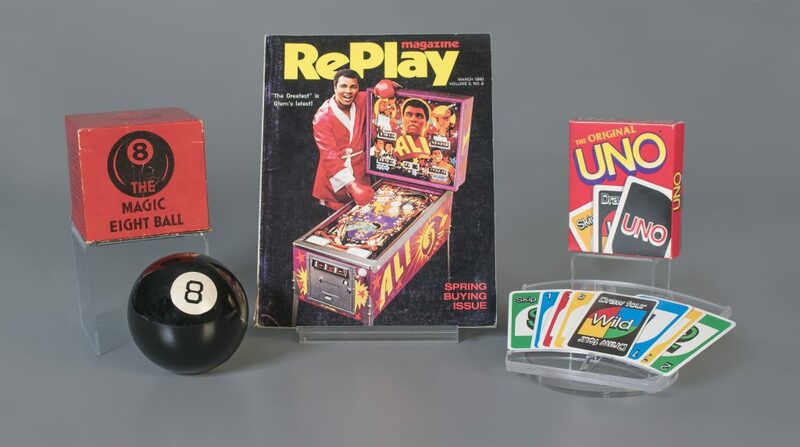 The Strong National Museum of Play announced the Magic 8 Ball, card game Uno and pinball are this year’s inductees into the National Toy Hall of Fame. The museum said the Magic 8 Ball, Uno and pinball were chosen from a field of finalists that also included American Girl Dolls, chalk, Chutes and Ladders, Fisher-Price Corn Popper, Masters of the Universe, sled, tic-tac-toe, Tickle Me Elmo, and Tudor Electric Football. Pinball was developed in 1931, inspired by an 18th-century French table game called bagatelle. The game has added numerous features over the decades and has famously partnered with brands including “Star Wars,” “Game of Thrones” and “Indiana Jones” for custom games.